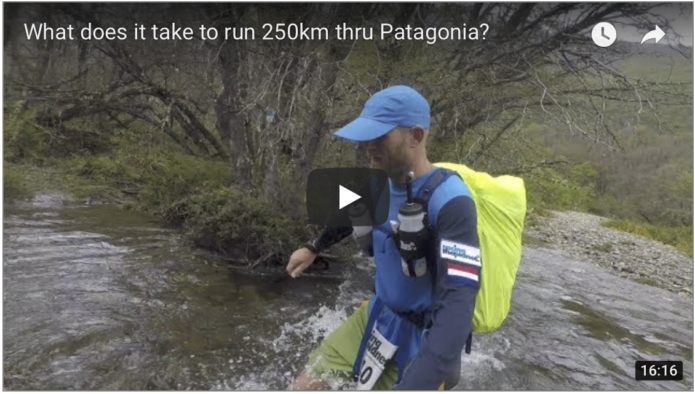 Why would I fly to the other side of the planet and run 250km through the mountains of Patagonia? Carrying all my supplies for a week. Sharing a tent with six others. No showers and cherishing freeze dried meals to get me through seven long days. That ‘why’ question will never cease! Actually, there’s a pretty easy answer but before I go there, you need to understand the bigger picture. There are thousands and thousands of people who run ultra’s, which is technically anything longer than a marathon. A small proportion are well known pro athletes, who run record times and make the news but the remaining 99% are normal people. The likes of you and me… people with jobs, partners, kids and commitments yet they have a deep rooted desire to test their physical and mental limits. Despite already juggling a full set of balls, they (we) still find the time to train for and experience these extraordinary races. Back to the why question. What drives me to sign up, not for the first time, for such an epic event? I simply love being out there. Out in nature, out on the trails. There’s something so profoundly powerful about feeling so insignificant amongst the force of nature. In the true wilderness, there’s no place for a fancy title, a fat bank account or a big ego. You’re truly alone, exposed to all elements, completely vulnerable. Everyone who takes part has the opportunity to enjoy and embrace what lies around them. When it rains, everyone gets cold and wet. Everyone gets blisters and they all hurt. Regardless of place or power, every single participant must start with a positive attitude and a curious mindset, open to tackling whatever challenges come their way. This sense of adventure moves me, makes me feel alive. This topic came up over a campfire conversation recently, about how if you want it enough, you can always make time to train, regardless of your schedule. Early rises or a quick blast in between meetings… it’s always doable and is so damn rewarding. The motivation to get out there is that big race on the horizon, the one you’ve committed to and has an ever closer start date. There’s a certain anxiety that comes with signing up for a big race, an anxiety that will get you up at 4am to train your arse off. Another thing I love about the ultra scene is the fascinating mix of people. I probably have my best conversations on the trails. At the Patagonia race, we started with 300 athletes, from all walks of life, from all four corners… 55 nationalities covered, from CEO’s to aspiring students. A tiny handful start with the intention of a place on the podium but everyone else just wants to experience and complete the journey. Beyond the element of competition, is the notion of all being in it together, of sharing and supporting. 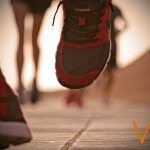 If a fellow runner can help you they will. When the chips are down, they’ll bring you back. Every participant has dark moments… I remember one of mine, around 60km into the 75km day. I’d let my food intake slip a bit, my feet were on fire and I was just loosing the plot. Luckily, I ran into my Canadian tent mate, Chris, who was his usual joyful jolly self. He took one look at me and just laughed… that was all I needed. We joined forces after that and completed the remaining mileage together. Time to chat, embrace the challenge and share what little food we had.